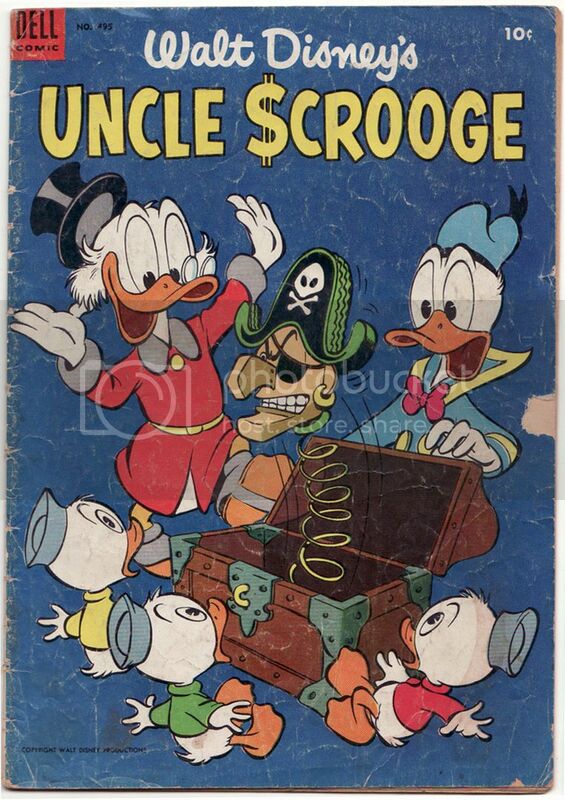 This copy of Disney’s UNCLE SCROOGE is in Fair to Good condition, but that’s mostly because of the cover condition. (Note small chunk out of right side edge and very small tear on lower right edge.) The interior pages are in remarkably great shape compared to the cover. Inside, a beloved cast fills the issue including Uncle Scrooge, Donald, the Beagle Boys and don’t forget Huey, Dewey and Louie! Classic Disney at a great price! SKU: pop8. Categories: COMIC BOOKS, GOLDEN AGE (1938-1955), Humor, DISNEYANA, BOOKS. 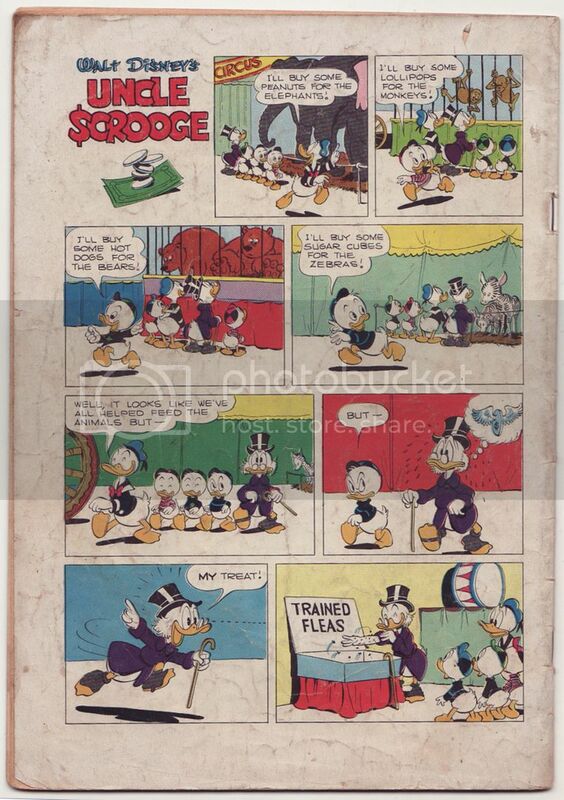 Tags: comics, disney, Donald Duck, Uncle Scrooge. Be the first to review “Walt Disney’s UNCLE SCROOGE #495 (1953)” Click here to cancel reply.